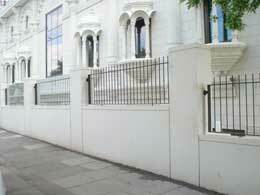 The Whitechapel is a close relative to the Fulham but alternates the knuckled infill with a plain one. Product is made to measure and spec can vary. 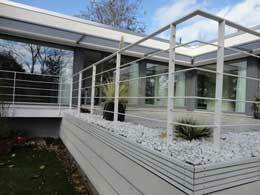 Full specification will be provided in our quotations and drawings. Red Oxide Primer | This is a ‘no frills’ finish and the cheapest available option. We apply a single coat of red oxide primer (i.e an undercoat to the metalwork), ready for on site painting by others in whatever colour you like! On going maintenance will be required. Red Oxide Primer and Painted Black | Here we apply a single coat of red oxide primer, allowing it to dry and then applying a single coat of satin matt black paint. The paint is sprayed on to the metalwork in our factory. We recommend that you apply at least one more coat of black paint subsequent to delivery or installation. We cannot state how long this will protect the metalwork from rusting, but it is advisable to touch up at least once a year or sooner. On going maintenance will be required. We can quote for 2 coats of black paint if required, please ask us for a price. 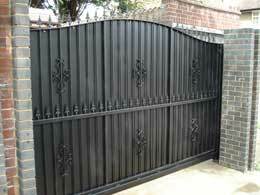 Powder Coated Only | Metalwork can be finished as powder coated only. 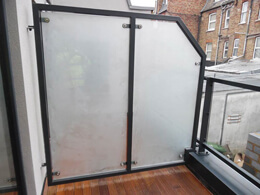 Although powder coating generally provides a lovely smooth finish, we discourage a powder coated only finish to externally exposed products as the metalwork beneath the powder coating can rust. 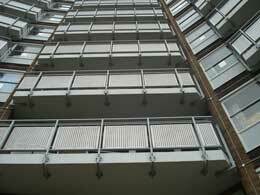 In addition, powder coating can chip during installation or transport, resulting in exposed metalwork. Once the metalwork rusts or the powder coating chips, it is difficult to re-store as you cannot hand paint over a powder coated finish using traditional paint brush methods – it just won’t match or look right. Only spray touch up is possible. We are unable to re-powder coat any items which have chips or scratches. 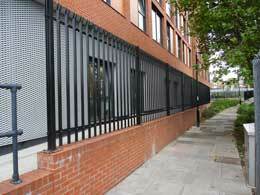 Powder coated only is recommended for internal metalwork, but not to externally exposed items. 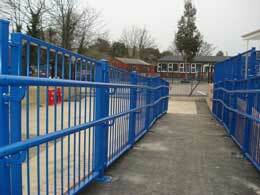 Galvanised Only | We are able to hot dip galvanise the majortiy of our products. Galvanising will generally stop the metalwork from rusting, unless the galvanising has chipped to expose the metalwork underneath. 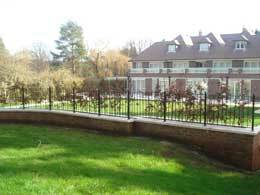 Site alterations can be made good by cold galvanising spray. Galvanising is considered to be an industrial finish and does not always produce a smooth surface due to the hot dip galvanising process. Fettling is not included. Small vent holes will be visible on hollow section steel. It is silver/grey in colour and is likely to become darker over time as it weathers. 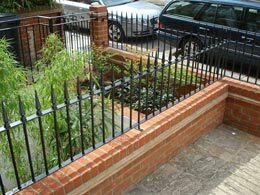 The metalwork can be left in a galvanised only state or it can be painted on top by first applying a mordant T-wash solution which acts as an undercoat to the paint. 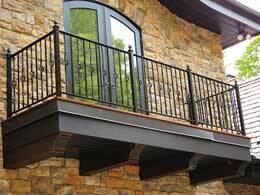 It can also be powder coated prior to delivery or installation. See Galvanised and Painted Black or Galvanised and Powder Coated finish. Galvanised and Painted Black | The metalwork is galvanised by being dipped in a basin of hot zinc, then prepared with a mordant T-wash solution, then primed and sprayed with one coat of black paint in our factory. 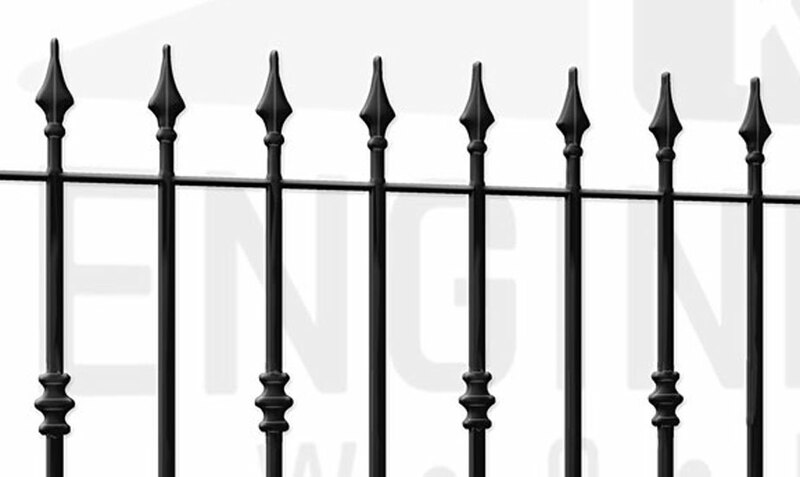 Galvanising does not always produce a smooth surface due to the hot dip galvanising process. Reasonable fettling is included as part of the prep work. Small vent holes will be visible on hollow section steel. Galvanising will generally stop the metalwork from rusting, unless the galvanising has chipped to expose the metalwork underneath. 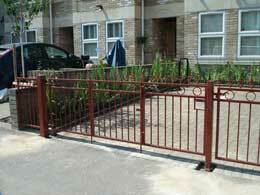 Site alterations can be made good by cold galvanising spray. It is advisable to to maintain the black painted finish from time to time. Galvanised and Powder Coated | This is expensive but ultimately one of the best finishes available for architectural metalwork. It combines the benefit of galvanising with a powder coated finish, whereby the powdered paint is cured within a heated oven. Small vent holes will be visible on hollow section steel. KP Engineering Works Ltd is a family business which was established in 1990. 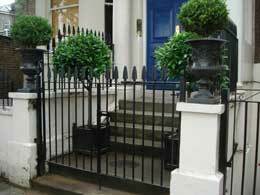 We take pride in manufacturing, supplying and installing quality steel fabrications all over London & The Home Counties. Using quality materials to produce a quality product, our ethos is and always has been to offer only the best. With a diverse product range custom-made to the client’s individual requirements, KP Engineering Works Ltd is well and truly established as a major player in the architectural metalwork industry. Work carried out by KP Engineering was very god quality. It included from start to finish. They look into things in a wholesome manner and try to find the best possible and secure solution. 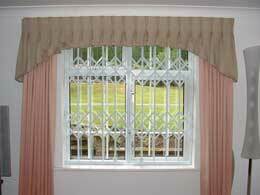 Their fitters are very skilled and professionals. They do not cut corners and are trustworthy, polite and dedicated to work. It was nice working with KP engineering. I highly recommend K P Engineering after they manufactured and fitted a metal side door and a number of other fencing and security items. They are skilled at engineering and professional in their design and delivery and after sales service. I ordered driveway gates for my shared drive and a hand rail for my front step. The price was reasonable and the manufacturing and finish was of a high quality. 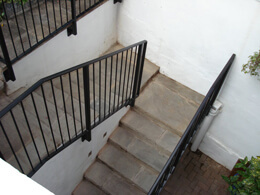 From start to finish K P Engineering were courteous and helpful at all times. I have had admiring reports from neighbours and would not hesitate to recommend. 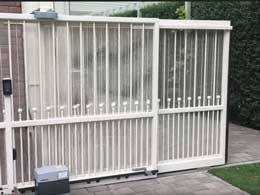 We ordered a driveway gate and pedestrian gate from KP Engineering. The gates were really well made and much stronger than we expected. The metalwork is 2–3 times thicker than a normal gate you'd buy — they're clearly going to last a long time!Ketan and his team were incredibly helpful, always answering our questions quickly. Now the gates installed, everybody who visits comments on how good they look. 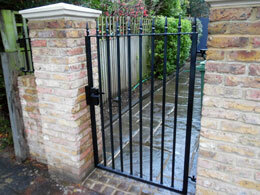 KP Engineering has provided railing and gates for a new build development in north London for us. They provided very reasonable pricing and realistic time scale, and also accommodated many requirements promptly. The overall service is reliable. We will definitely come back to for more business in the near future!